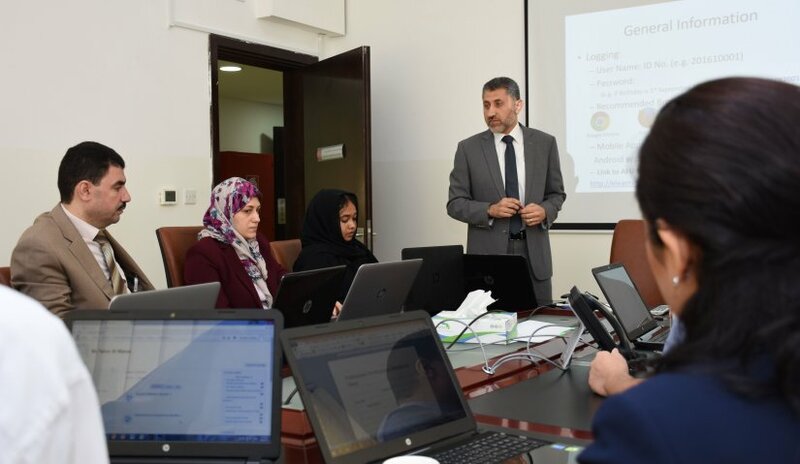 Within the framework of professional development among faculty members, the General Education Department at Al Falah University organized a workshop on the features of the electronic learning system (Moodle) and how to use it efficiently. During the workshop, the basics of the system and the principles of its various uses were discussed. Al Falah University’s management aims to encourage faculty members and administrative staff to develop their professional skills through various lectures and workshops.